According to the game's instruction manual, the player controls the biblical figure Moses as he leads the Israelites to the promised land. Moses has the ability to shoot glowing "W's", which signify the word of God, to defeat enemies and remove obstacles. To finish each level, Moses must acquire five question marks as well as a certain amount of manna while avoiding enemies such as magicians and soldiers. After a level is completed, the player must answer five bible-related questions before advancing to the next level. 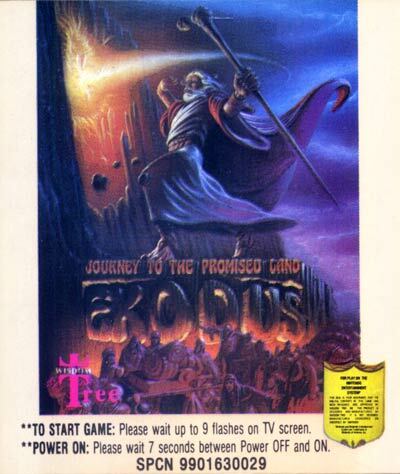 Exodus, like many Wisdom Tree games, is a rehashed version of a Color Dreams game, in this case Crystal Mines.